ITU Faculty of Architecture Department of Industrial Product Design was established in 1993 in historically oldest yet still-vibrant technical university in Turkey as a response to the needs of the Turkish society and industry for creative designers with strong technological, managerial and entrepreneurial skills. ITU Faculty of Architecture Department of Industrial Product Design defines its Mission as: Educating and training students to become designers, who can use their knowledge and skills to generate innovative product concepts and specifications for the common good of all the stakeholders involved in the use, production, and marketing, without ignoring the ethical and environmental issues; Considering the needs of Turkey and international developments, to undertake interdisciplinary design research to generate new knowledge and methods in design, and share them with the stakeholders; Setting effective strategies to promote industrial design to relevant stakeholders, to inform them, and applying these strategies into action by aiming at utilising industrial design to contribute to the national development and to raise the well-being of citizens via industrial design. 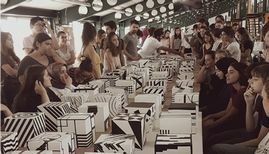 In Istanbul, the industrial and cultural capital of Turkey, ITU Faculty of Architecture Department of Industrial Product Design provides design education of international standards at undergraduate and graduate (including PhD) levels in two languages, English and Turkish. Issues regarding user-orientation, innovation (technological and social), sustainability, and culture are emphasized in the undergraduate and graduate education. Students are asked to fulfill 157 local cedits to finish the undergraduate program. There are 61 courses wihtin the curriculum and 12 of them are electives and 49 of them are compulsory courses. 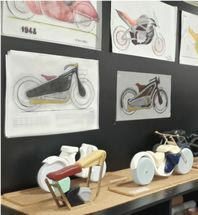 ITU Faculty of Architecture Department of Industrial Product Design offers masters (MSc) and doctoral (PhD) education and as part of the Graduate School of Science, Engeneering and Technology since 1989 and 1996 respectively. Besides product designers, the graduate programs are open for candidates with undergraduate degrees from engineering, architecture, fine arts, and social sciences (i.e., psychology, sociology, anthropology). These candidates, if accepted, should complete courses equivalent to 15 credits from undergraduate program as a preparation program. Graduate research areas include material culture, design for sustainability, social innovation, design thinking, craft, user experience, design history, interaction design, design policy, design philosophy, and design entrepreneurship. For furher informaion, please visit the website. Academic Advising Vis. Comm.II: Visualiz.&Persp.